Electricity can kill. Electricity is now the major cause of accidental fires in UK homes. Government statistics show that electricity causes more than 20,000 fires a year – almost half of all accidental UK house fires. Each year, about 70 people are killed and 350,000 are seriously injured due to an electrical accident in the home. Who should carry out electrical work in my property? It is important that any electrical installation work is carried out only by people who are competent. 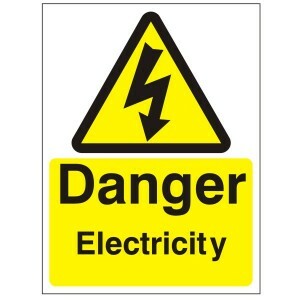 This means people who have the knowledge, skills and experience needed to avoid dangers to themselves and others that electricity can create. It’s easy to make an electrical circuit work – it’s far harder to make the circuit work safely. Find a registered electrician, and the reasons why you should use one, here. The main switch in the consumer unit (fuse box) allows you to turn off the supply to your electrical installation. Some electrical installations have more than one main switch. For example, if your home is heated by electric storage heaters, you may have a separate consumer unit for them. The consumer unit should be easy to get to, so find out where the main switch is to turn the electricity off in an emergency. Newer homes are likely to have circuit-breakers in the consumer unit which switch off a circuit if there is a fault. Circuit-breakers are similar in size to fuse-holders, but give more precise protection than fuses. When they ‘trip’, you can simply reset the switch. However, you first need to find and correct the fault. An RCD is a life-saving device which is designed to prevent you from getting a fatal electric shock if you touch something live, such as a bare wire. It provides a level of protection that ordinary fuses or circuit breakers cannot. For more information on RCDs click here. How old is your wiring? Wall-mounted light switches in bathrooms (before the 1960s). Electricity improves our daily lives – but only when used safely. Don’t create hazards by overloading sockets, and never ignore warning signs like burning smells, sounds of arcing (buzzing or crackling), fuses blowing or circuit-breakers tripping. 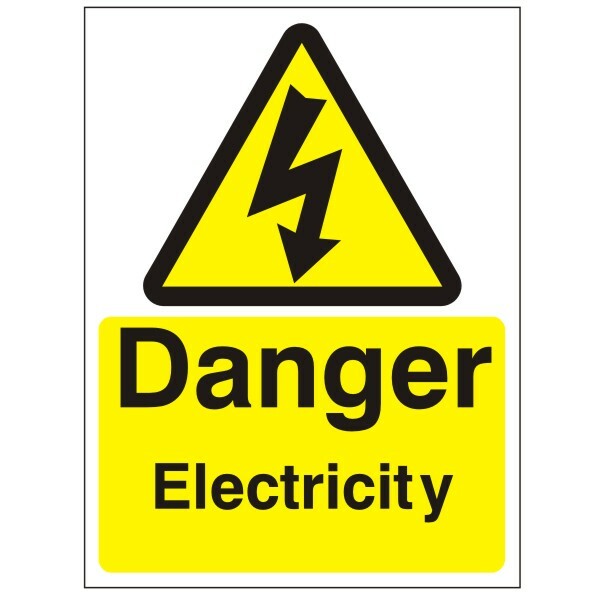 Electrical accidents are most likely to happen when equipment is damaged or misused. Failure to correct the problem could have devastating effects. This sounds like common sense, but you would be surprised how many of us fail to follow basic safety guidelines. When did you last check the condition and safety of your plugs, sockets and flexible cables? Check the plug and socket for burn marks, sounds of ‘arcing’ (buzzing or crackling), fuses blowing, circuit-breakers tripping or if it feels hot. Remove plugs from sockets carefully. Pulling out a plug by the cable puts a strain on it, and could damage the contact between the plug and the socket. This could result in the plug overheating, its wires becoming loose or an electric shock (if the earth wire is disconnected). Use plugs with the British Standard safety mark – they have live and neutral pins with insulating sleeves that allow you to put them in and pull them out of sockets safely. Always replace damaged cables immediately. Touching exposed live wires may give you an electric shock or you could even be killed. Trailing the cable under the carpet or rug to keep it out of the way. Drying clothes on an electric heater, with water dripping onto live parts – This is particularly dangerous, and could cause an electric shock or fire. Many electrical appliances, such as heaters, have ventilation slots to prevent overheating. If these slots are covered up, the appliance could overheat and catch fire, or if water drips in, there is a risk of electric shock. Installing downlighters – Choosing the wrong downlighters, installing them incorrectly or fitting the wrong replacement lamp can pose a serious fire risk in your home. Use a registered electrician to install your downlighters. For your safety you should check for visible markings on downlighters indicating lamp wattage and lamp type. Never drill or fix nails in walls without knowing what’s behind them – Walls and partitions conceal electrical cables and gas and water pipes. How much do you rely on adaptors and extensions around your home? You can expect to find around four sockets in an average room in a house. Although this is enough for most purposes, an increase in the use of computers, games consoles and other appliances has led to the number of sockets being needed in an average room to increase to eight. Extension leads and adaptors often provide a quick and easy solution but, in reality, these leads and adaptors are often misused, and can present a very real danger. In extreme cases they can overheat, which can cause a fire. The most sensible action would be to install extra sockets. While you are at it, ask a registered electrician to install twin sockets rather than single ones. We all know that water and electricity make a lethal combination. So it’s important that electrical equipment is installed correctly, and that you use appliances in your kitchen with care. For more information on kitchen safety click here. From an electrical safety point of view, the bathroom is possibly the most dangerous room in the home. The consequences of an electric shock are far more severe in a bathroom or shower room as wet skin reduces the body’s resistance. There are special requirements for electrical installations in bathrooms. Click here for further information on bathroom safety. Although electricity makes gardening much easier, wet conditions and contact with the ground means that the risk of injury or death from electric shock is much greater than the risk from using electrical equipment indoors. For more information on how to stay safe in the garden click here. Remove the plug from the socket and check the plug is not damaged. Look for signs of overheating, such as discoloured casing or cable. Check that the cable sheath is firmly clamped in the plug and that no coloured wires are showing. All modern appliances in the UK use the familiar square-pin 13-amp plug. These plugs are used for handheld appliances such as hairdryers and vacuum cleaners, and appliances like microwave ovens. The plug and cable can suffer damage, particularly if they connect to handheld appliances. Checking a plug and its cable does not need a lot of detailed electrical knowledge and these tips should help. With the plug removed from the socket, check the cable from end to end and ask the following questions. Is the cable cut, worn or damaged in any way? There should preferably be no joints in the cable, and certainly no repairs with insulating tape. The green-and-yellow wire goes to earth (E). Check that the cord clamp holds the cables heath securely and that both of the screws are tight. Check that the screws holding the three wires are tight. Check that the fuse is the correct size and meets British Standard BS 1362 – see the manufacturer’s instructions if you are not sure what fuse to use. The fuse should clip securely into its holder. It should not be loose and there should be no signs of overheating. Most table lamps, standard lamps, televisions, computers, mixers, blenders, power drills, jigsaws, soldering irons will use 700W or less. Larger appliances such as washing machines, dishwashers and toasters, irons and heaters will use more than 700W. For your convenience these are just standard two plug fuse ratings (3A and 13A). For appliances up to 700W, you use a 3A fuse. For those over 700W, you use a 13A fuse. GREEN TIP: Try turning your washing machine down from a 60º to 40º wash. It’ll save you 30% of your electricity bill with every wash.
GREEN TIP: Try turning your thermostat down by 1º and the only thing that will notice will be your purse. You could save up to 10% of your annual bill. GREEN TIP: Consider using an energy efficient bulb. They last up to 12 times longer and save on electricity. GREEN TIP: Britons waste the equivalent of around two power stations’ worth of electricity each year by leaving TV sets and other gadgets on standby. You could save up to 10% off your yearly electricity bill.